A leading Thai rice dealer has called on the government to reduce subsidy under the rice pledging scheme to enhance Thailand’s competitiveness in the global market. Sompong Kittirianglarb, president of Ponglarb Co., said a lower rice price, currently pledged by the government at Bt15,000 per tonne, will help improve Thailand’s rice exports which have been rather poor. Rice exports by the private sector from early January to Feb 17 were only 500,000-600,000 tonnes – a volume he described as minimal for an early harvest season. A report that the pledging price of rice will be slashed to Bt13,000 per tonne has irked Thai farmers who threatened to protest the government in Bangkok. 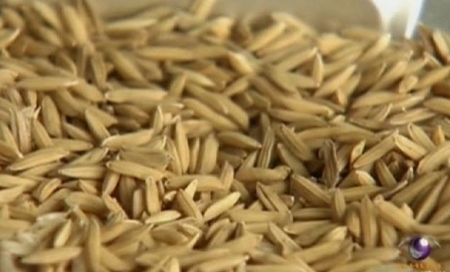 The Commerce Ministry has denied that rice subsidy will be cut. Sompong said a pledging price of Bt12,000 per tonne would be realistic and reasonable. The prices of rice from neighboring countries has been rather low with India exporting at US$404 per tonne, Pakistan at US$450 per tonne and Vietnam at US$410 per tonne, he said, adding that Thailand’s export price of US$550-560 per tonne can be adjusted to US$510-520 per tonne if the pledging price is Bt12,000 (US$400) per tonne. The price at US$510-520 per tonne will enable Thailand to compete with neighboring countries since the quality of Thai rice is higher, he said. He warned that damage (to Thailand’s rice export) will worsen if the government fails to lower the rice subsidy.